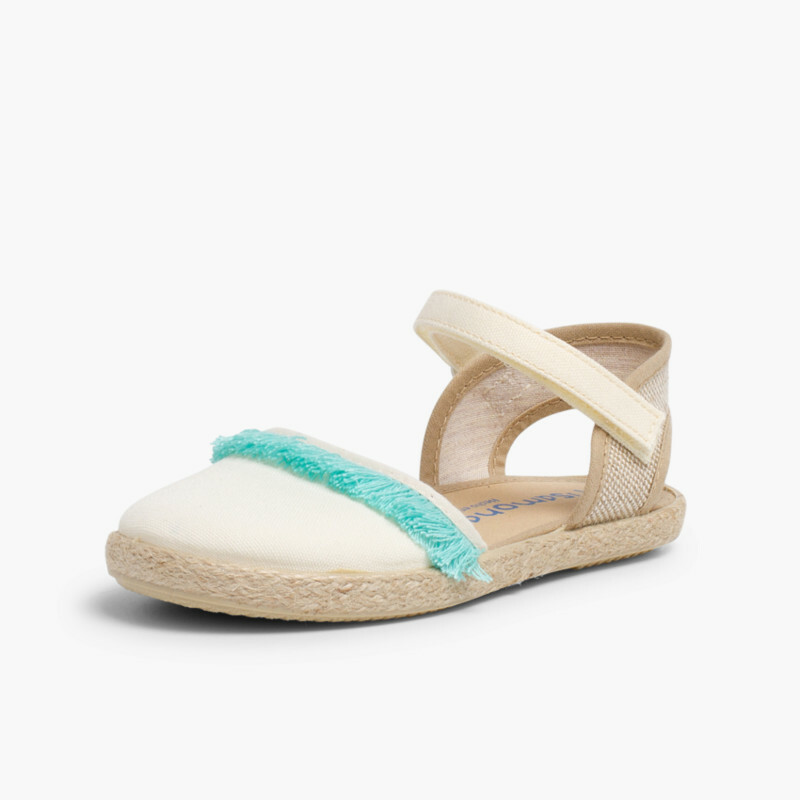 This model of sandal is perfect for the pickiest girls in the family, in a plain fabric decorated with colored fringes which are bang on trend. This is a super versatile model that’s so comfortable she won’t want to take them off all summer long. 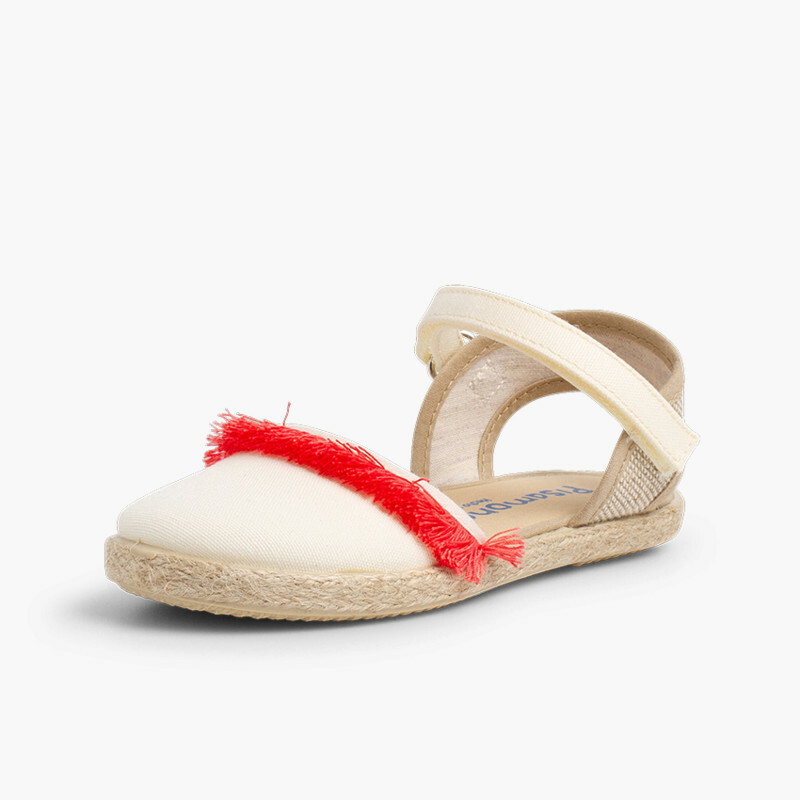 With their rounded toes and coloured fringes, your little girl will look like a little princess. This is a model designed to match all girls’ clothes. Being beige with flashes of colour means they go with anything. She’ll look great in her sandals! 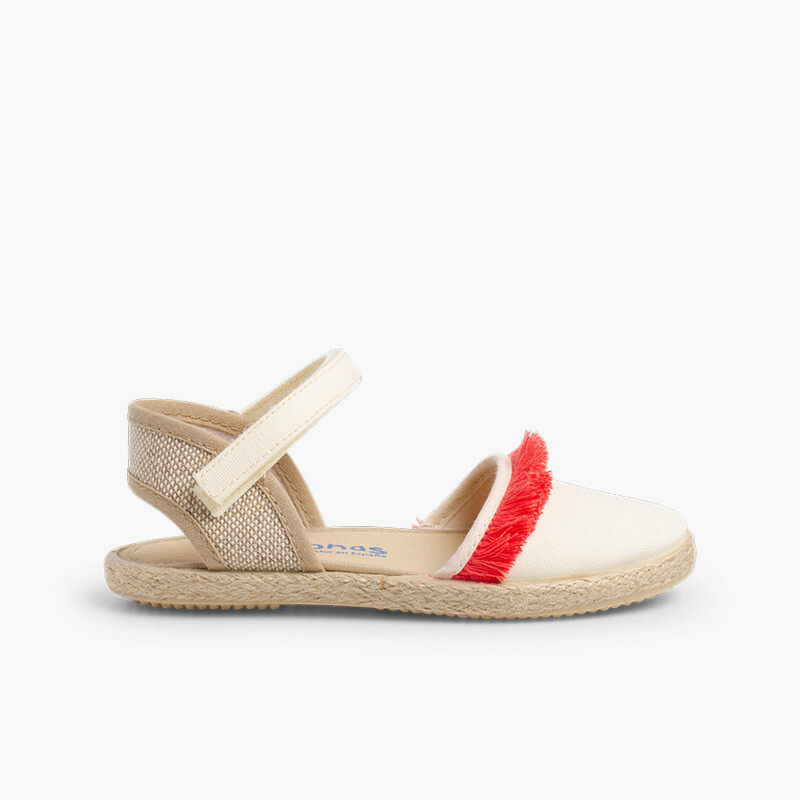 The design of these espadrilles mimics that of adult espadrilles sandals, but are adapted to the feet of little princesses, with a Velcro ankle strap which means they won’t slip off. 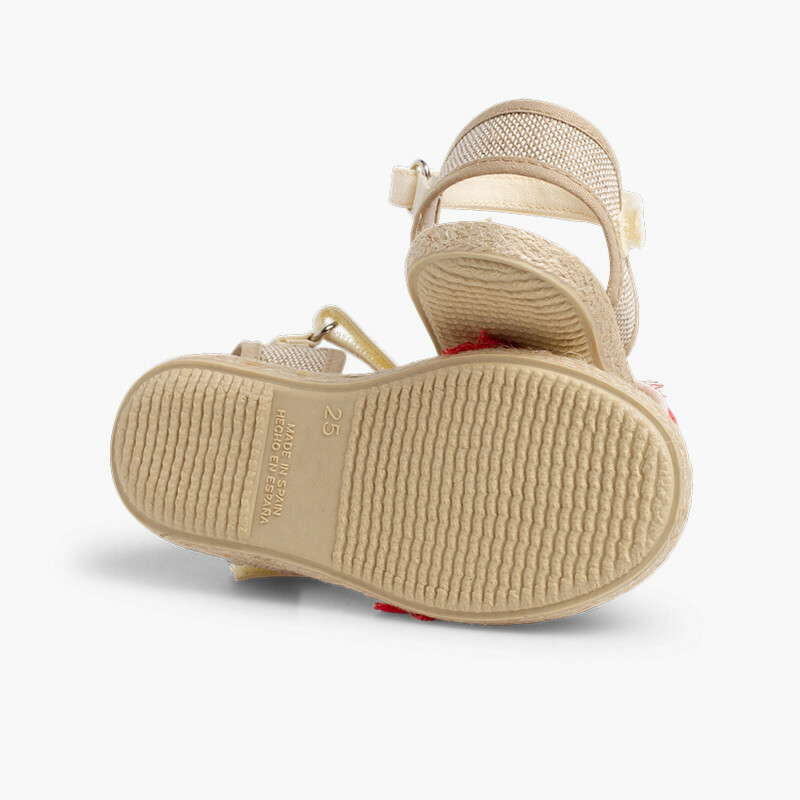 The strap also helps them to put on their shoes themselves. 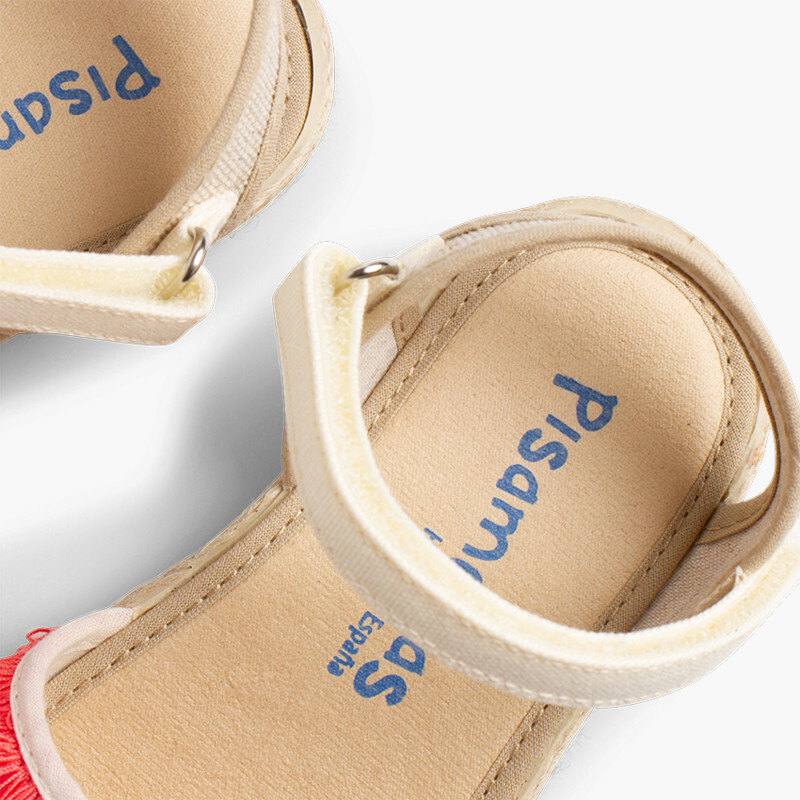 They’ll feel so grown up putting on and taking off their very own shoes! 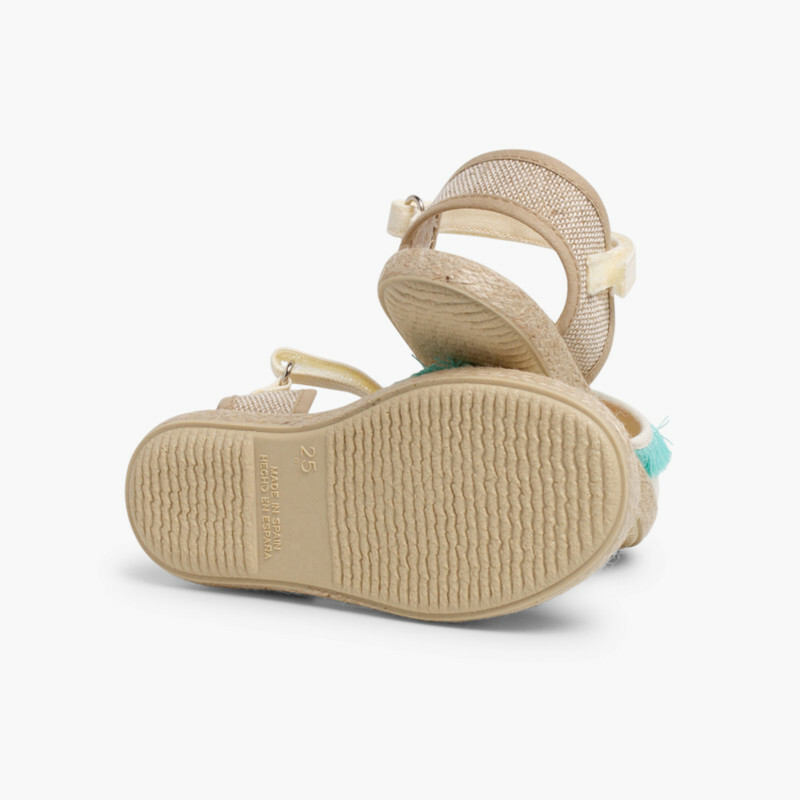 They have a edged insole which makes them even more comfortable for their little feet, and anti-slip soles to give them more grip. 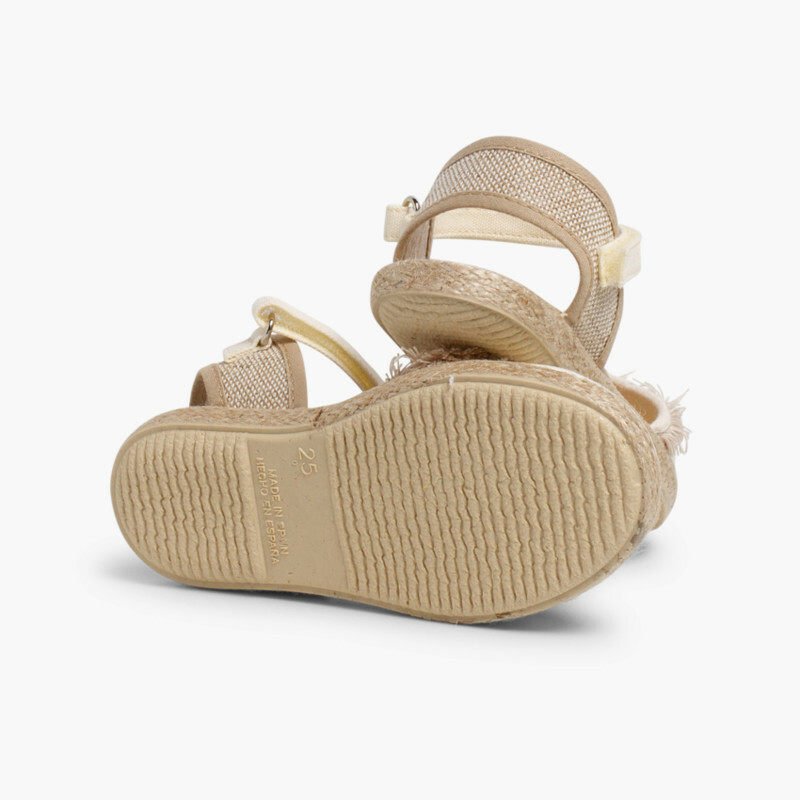 This model of children’s footwear is available in sizes 18 to 32, in beige with coloured fringes in aquamarine, coral or beige. Made in Spain from the best materials, you’ll only find the best prices at Pisamonas.